Karachi Silver Spoon BBQ & Pizza is located at Main Boulevard, Wapda Town, Lahore. 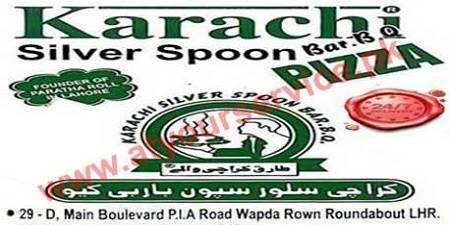 Karachi Silver Spoon is specialized in paratha roll and kebab roll. Pizza & Chicken Tikka is also served here. FREE delivery service is available.